In just one word, YES, Wi-Fi extenders really work. A Wi-Fi range extender or a range expander is a kind of wireless repeater that is used to extend the coverage of a wireless LAN. The device sits between a base router or access point and it will give you an extended coverage, which your existing wireless setup can’t provide. In your home or office, your existing wireless network can’t provide a good wireless connection to every corner of your home or office. This is called dead spots and you can get rid of these dead spots with a Wi-Fi range extender. 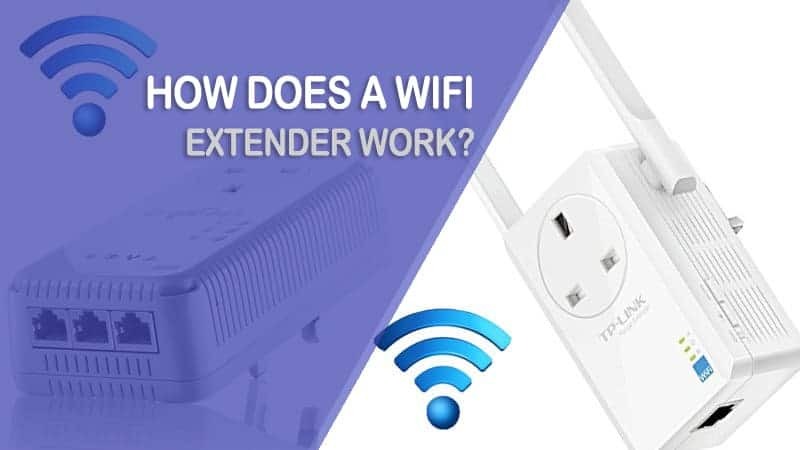 How does a wifi extender work? A Wi-Fi extender uses radio waves to connect with all other Wi-Fi supported devices and allows them to connect to the internet. There are two different types of Wi-Fi extenders available in the market. First one is repeaters that use antennas to gain Wi-Fi signals and then it retransmits the signals; it doesn’t require any sort of physical connection to the network. You can set up a Repeater within the coverage of your existing network and it will automatically expand the signal by using its own broadcast capacity. And the second type is known as access points, which directly connect with your network physically through an Ethernet cable and deliver a wireless signal that is quite similar to a wireless router. 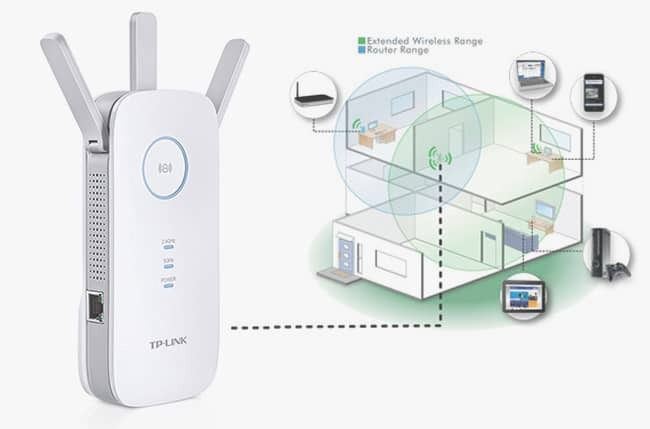 If you already have a wireless network setup in your house or office, but it is not capable of providing connection to some certain places then you can use an access point to remove the dead spots. But only for this problem don’t buy a Repeater because it is costly in compare to Access point. Wi-Fi extenders are compatible with both the 2.4 GHz and 5 GHz bands, which is used in the 802.11ac Wi-Fi routers. With a Wi-Fi extender, you can get a good coverage in every corner of your house and also in the basement of your house if you want so. Extenders truly extend the physical range to cover a long distance area and it also removes all the dead spots of your certain area. If you are having all these problems with your wireless network then you can invest a little money to buy a good Wi-Fi extender. This investment will provide you the best wireless experience and you will get a great performance as well. There are lots of choices out there for you and you can choose your one to serve you with the long distance coverage. do wifi range extenders work?